I feel bad having so many ...coming soon... images on my Ozotic colour guide. I just have to stick with wearing a different one each day and praying for sunshine. 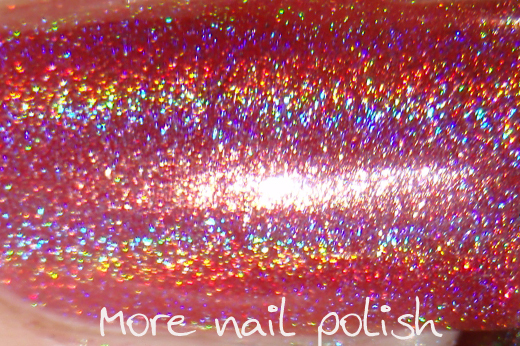 I don't really have the time to just do swatching like I used to, and I hate applying spectacular nail polishes like these and taking them straight off. They must be worn for at least a day each. Well maybe not all of them (I'm talking to you crappy 527!). No now for today's pretties. Ozotic 522. It is a dark salmon pink small particle linear holographic. 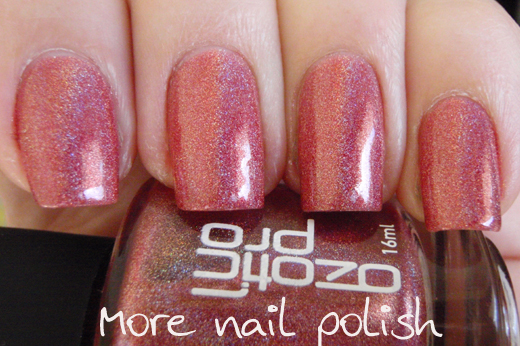 It is a similar colour to Ozotic 511, but this is a browner pink. I'm a big fan. Here it is indoors with only diffused light from the window. 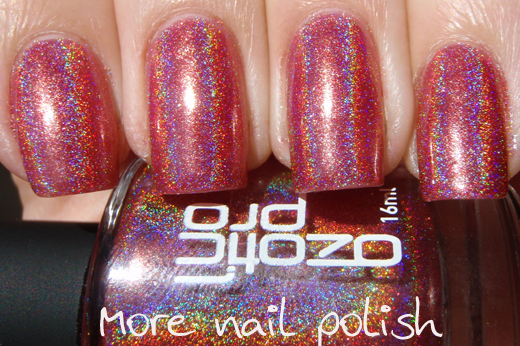 I got an email from Picture Polish today to say they have some new Ozotic shades in stock. They are now stocking 601, 603, 623 and duochrome 752. I already have them all (as either Ozotic or Artform) from other sources, except #623 - which looks like a black large particle linear holo (I ordered that straight away). 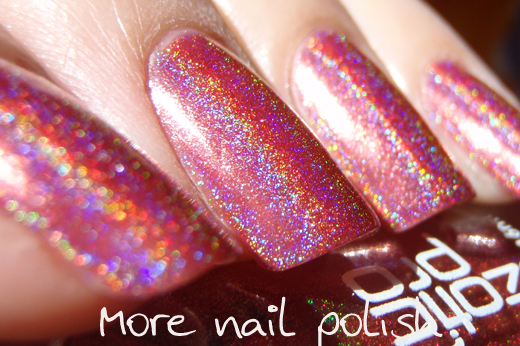 But this is great news for international ladies who can only get Ozotics through Picture Polish. So pretty! My latest purchase is 621, but I haven't had a chance to wear it yet. I just discovered your blog and I loved it! I've become a follower and I've also added this blog to my blogroll, that's how much I liked it!